Julian Farris Films: Encouraging artists to defy barriers. No limits. Julian Farris Films strives to encourage artists to defy barriers and dig deep within themselves to bring their imaginations alive. Promoting creativity through nurturing and cooperative exercise. Creating a consortium to routinely bring those creations to fruition on film. 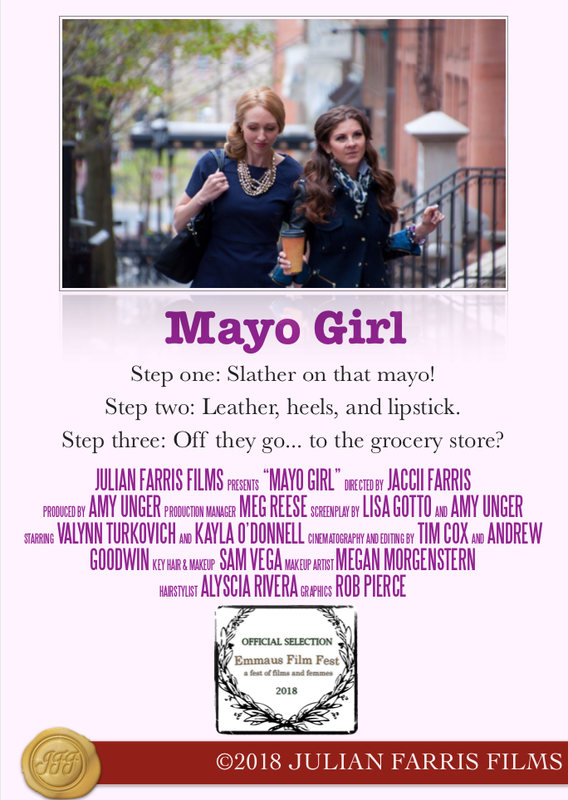 Come visit Julian Farris Films for (Cinco de) Mayo Girl at the Emmaus Film Festival! We are proud to showcase our most recent project: KING OF THE BUSKERS! Some are solo acts, wowing the crowds with slight-of-hand tricks, close-up magic, or sword-swallowing; others work as a team, dazzling the audience with gravity-defying stunts or musical performances. But the buskers of Key West, Florida all have one thing in common: a determination to stand out from the pack and to pad their pockets at all costs. Is there room in this unique tribe for a newcomer? A part-time street performer from Pennsylvania is about to find out. 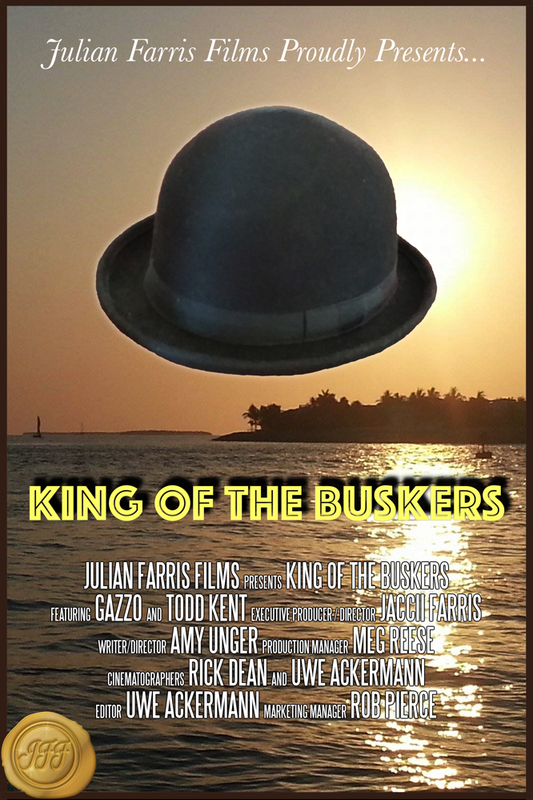 “King of the Buskers” follows his journey as he seeks out the advice and friendship of one of the world’s most renowned buskers. It’s a weekend that could change both men forever.